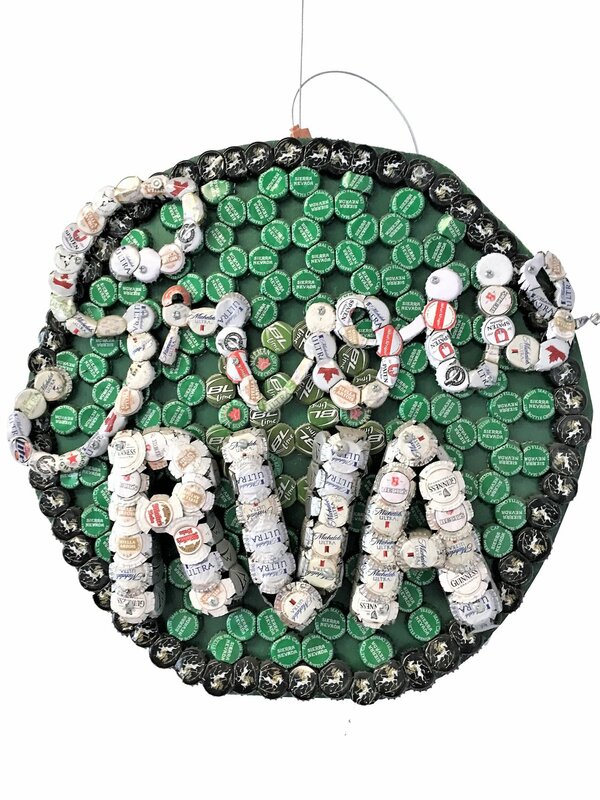 This sign was commissioned to make this for GrowRVA. This organization runs various markets around Richmond, including the South of the James Market that we vend at. We made a hexagonal matrix of caps, roughly 18” in diameter and fastened it to a piece of plywood. We individually made each “RVA” letter and attached them to the plywood. The cursive “Grow” is all one piece.